A four month gap between posts must be some kind of record (I’m not going to check, on the even more embarrassing off-chance that it isn’t). I’ve never been able to muster the dedication required for regular blogging, and I find that as I’ve evolved into a more accomplished writer I’ve actually become even less inclined. That might sound paradoxical, but dashing off something quick, rough and trivial simply for the sake of having a post feels antithetical to the standards I set myself. Any serious effort is more likely to go into a novel or short story – work that can be submitted for publication elsewhere. So on reflection it’s not really surprising that since I started this website new posts have become fewer and farther between, and mostly about professional matters like publishing schedules and appearances. I think the menu tab above is about to be renamed ‘News’, since it’s clear I’m only likely to post anything when I actually have some. What news am I here to share then, at the end of this extraordinary year? That I’m feeling less than sanguine about politics and public discourse will surprise no one who follows me on Twitter or Facebook. I’ve been posting less there too, on the principle that if you can’t find anything nice to say it might be best not to say anything. I don’t claim to be rigorous about sticking to that principle, but I also don’t see much point in simply adding to the rising tide of impotent outrage. It’s unproductive and it makes me cross. So I’ve kept myself mostly offline this year, I’ve gotten a great deal done, and – the dire state of humanity notwithstanding – I’m in a pretty good mood about all of it. 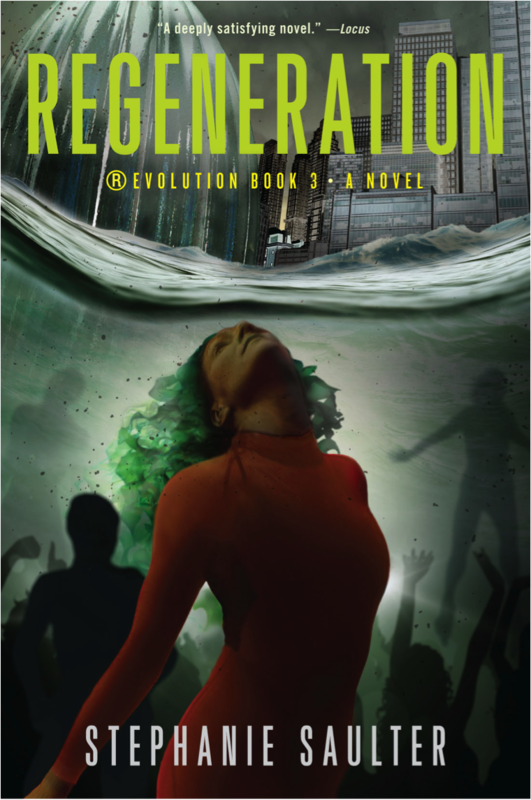 First a piece of news that was new to me too: Jo Fletcher Books tells me an omnibus ebook edition of the three ®Evolution novels will be out in March, and is available for pre-order here. I hadn’t known they were going to do that, but I’m pleased – it feels like a nice coda to a really important part of my writing and thinking life. Though perhaps I speak too soon. 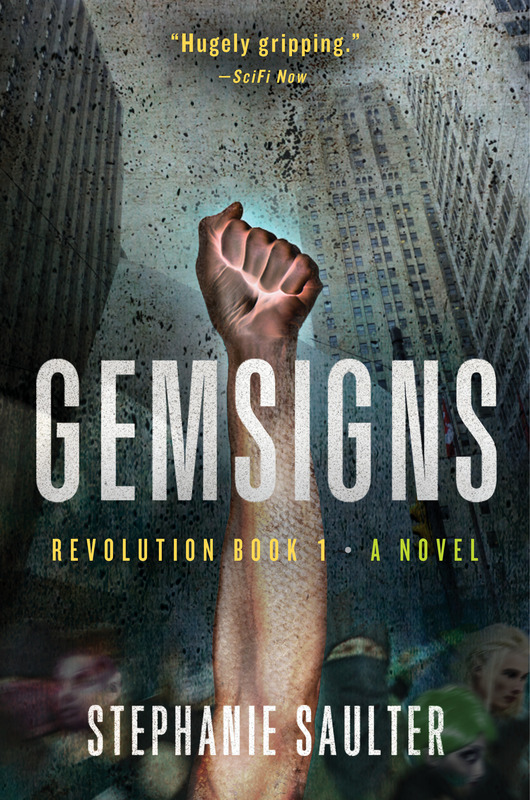 I’m not planning any new books in the series, but one of the things I got done involved revisiting Gemsigns in May/June, while on hiatus from another project (more on that in a moment). I needed a mental palate-cleanser, and I’ve been asked so many times about the possibility of it coming to screen that I decided to try my hand at writing an adaptation. It turned out to be a very specific skill, distinct from novel or short story writing; you have to think visually, and be sensitive to the technical constraints as well as opportunities afforded by a different medium, while retaining overall plot structure and the emotional essence of the original text. 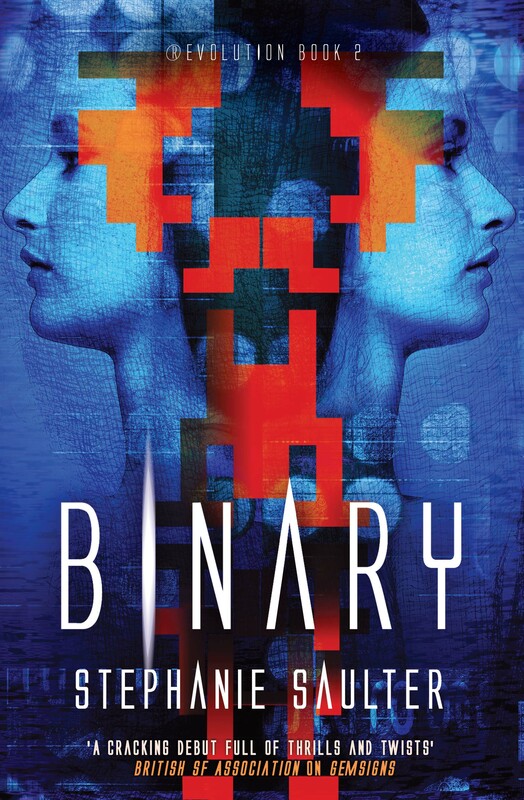 I probably erred on the side of too much narrative detail, and I still have no idea whether Gemsigns, Binary or Regeneration will ever be brought to either large or small screen. But: I sent it to people I know who actually make film and television, and the noises that have come back are largely positive, so in my book it was time well spent. Who knows? The fabled phone may ring for that one yet (more likely a ping via IM or SMS or WhatsApp, which, given the context in which the books take place, would be appropriate). The first responses came from the friends, every last one of whom apologised for their slowness and confessed that they were having a hard time getting into the manuscript. Now on the face of it this might seem unhelpful, but I cannot stress enough (especially to new writers, or anyone who’s inclined to be a bit precious about their work, or indeed those supporters who think their job is not to say anything negative) just how valuable it is to be told something like this. It meant I had a pretty good idea of some of what I would need to work on even before Ian, my agent, sat me down for a lengthy and candid session on all the ways in which the book was not yet firing. I won’t go into detail, save to say I realised with some amusement that the things I was most worried about being able to pull off, and hence had concentrated hardest on, were absolutely fine, whereas things I’m usually good at had suffered from a lack of attention. When I reread it myself, with the added benefit of my own time away, the Not Good Enough list grew even longer. That’s no reflection on Ian or the others – whole aspects of the book that were alive in my head had barely been hinted at on the page. There were things I’d meant to say that had as yet only been said to myself. I had a completed manuscript, but the reader in me could see only the shell of the story the writer wanted to tell. All of which makes me kind of astonished that the second draft took barely three months to complete (including a week off for Helsinki and Worldcon). Another benefit of time and distance from the work is that it makes it much easier to be both methodical and ruthless when you finally do return. I dismantled and rewrote the first three chapters, and indeed much of the first third of the book. 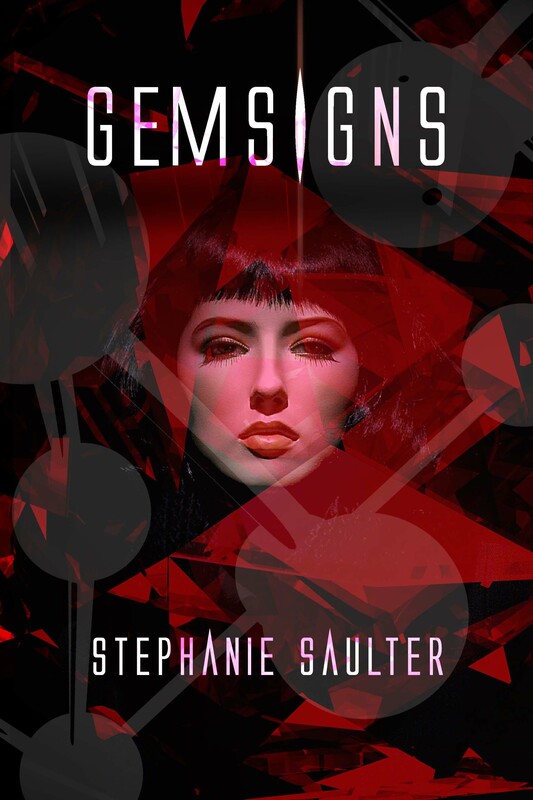 The changes I made there to character development, motivation, and narrative tone had to be carried throughout, which meant more big chunks of rewriting as well as subtler tweaks to practically every paragraph. The revised manuscript ended up noticeably longer, despite huge swathes of the original text being cut. I’m not sure I’ve ever worked with greater intensity – or with a greater sense of immediate satisfaction, of utter rightness. How do you know when it’s working? You just know. As for what the book is about: it’s about stories, the ones we privilege and the ones we disdain, the tales we mythologise and those we discard. On one level it’s about the search for a sacred text, but it’s also about what we choose to make sacred. The most succinct description I’ve managed was when I told someone to think Paulo Coelho meets Neil Gaiman via a Malian griot and a Jamaican granny. An intriguing elevator pitch, came the reply, but it doesn’t actually reveal very much. That’s a fair point, but I think it’s about as far as I can go right now. The book is out on submission, and I don’t want to say too much too soon. I’ll only add that the narrative unfolds via a series of stories the protagonist both tells to and elicits from the characters she meets; some are contemporary to the action and some are constructed as ancient folktales which, as they’re repeated, provide a context for the protagonist’s journey as well as forming their own parallel storyline. So there’s the meta-narrative inhabited by the protagonist; the contrasting/ contextualising strand of folklore within which an equally complex narrative is embedded; and several micro-narrative threads which inform and reflect them both. Like I said, it was a challenge. I received Ian’s response to the new draft at the end of November. It made my year. He got busy doing his agent thing, and now I’m the one who gets to wait, and hope that there’ll be publishing news sometime soon. So, after over twelve months of dedication to Sacred plus the other in-between projects, how did I celebrate getting it done and getting it good? I … went out and found myself a job. I had to. I may have produced four solid novels in seven years, but being a writer has not come close to paying the bills (as is the case for most of us). That may change one day – I live in hope – but until then my resolution is to find a way to keep writing (albeit at a much slower pace) while staying in regularly and decently paid work. I’ve been extraordinarily privileged to have gotten this far in my authorial career without having yet had to truly balance the two. Now I need to learn how. That, then, is the next big project. While I get stuck into it, and Sacred searches for a home, I do have a few smaller irons in the literary fire. There are two short pieces I’m about to submit to two new journals – and yes, one is an excerpt from Sacred. With any luck either or both of those will be out in the spring. I’m planning on attending the Calabash Literary Festival in Jamaica in early June. And I’ve been asked back as one of three teachers for the Science Fiction Foundation’s 2018 Masterclass, following the late cancellation in 2017. That’ll be at the end of June, and I’ll share sign-up information as soon as it’s available. I’ve submitted the same cracking reading list I was going to use last year, and I’m really looking forward to spending a few days talking with bright people about brilliant books.